I needed jars that I could put labels on and wide enough to get the goodies out. 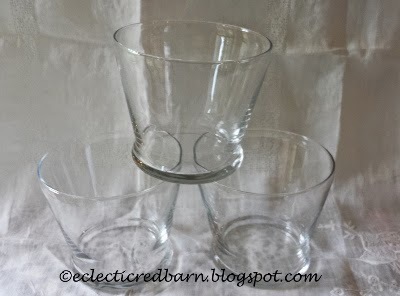 I found these jars at the Dollar Tree and thought they would work great. 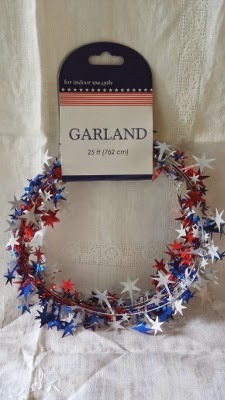 I also found this 4th of July garland at the Dollar Tree - don't you just love the Dollar Tree! I cut pieces to wrap around the base of each jar. The garland looked great but I wanted some labels so everyone would know what it contained, especially between the sour cream and the butter. 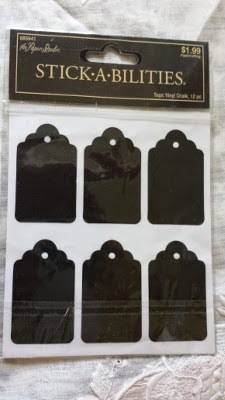 I didn't have time to make my own labels and these were at Hobby Lobby and with a coupon- half price. You can't go wrong there. I filled them with cheese, sour cream, butter, bacon and chives. Then I wrote on the labels. They worked perfectly and were festive as well. Total cost for the 5 jars - $7 dollars. Since the labels can easily be reused, I removed them and now I can reuse the jars. 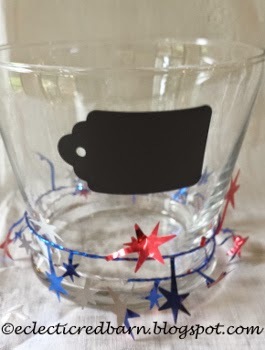 I think some candles in them for the fourth would be nice. I can even remove the garland and decorate them for other holidays. 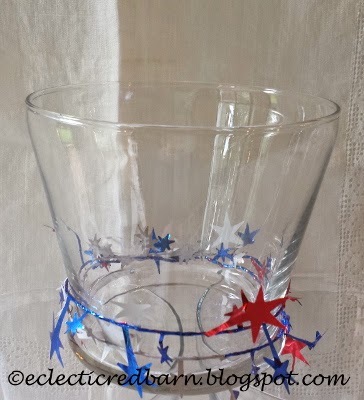 The post 4th of July jars first appeared on Eclectic Red Barn.